Lately things have been getting weird for pathology technician Kat Chanter. She's been craving raw meat, and having dreams so realistic they're scary. When she accepts a job offer from the prestigious Hema Castus Research Institute, she hopes she'll have the chance to discover what's wrong with her, but instead, her move to New York thrusts her headlong into a treacherous hidden world, where the wrong move could be fatal . 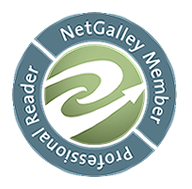 . .
Tarot, witchcraft and astrology all take on a frightening resonance in Dark Child's richly imagined alternative reality where vampiric beings live among us, hidden by magic. Dark romance tangles with paranormal fantasy and page-turning suspense in this enthralling tale of 'dark child' Kat Chanter, half-human and half-vampire, who has woken an ancient prophecy and must face a formidable destiny. This is the first book I've read in which there are blood sucking creatures who are NOT vampires, which I might add provides a very refreshing change. Adina West created a whole new world of the Tab`erin- or as us mere mortals call a majority of them- Shape Shifters. The rest of this supernatural race, excluding the shifters are blessed with supernatural speed, strength and compulsion but not the ability to change form. Needless to say, the world building was definitely good, delicately balanced with legend and myth and cemented with logical arguments and an interesting history. The whole idea of a shady supernatural governing body posing as a research institute was quite compelling. Unfortunately, the same cannot be said about the characterisation and the plot. I am not sure I liked the protagonist Katerina Chanter OR the guys salivating for her. Kat's character was too neutral and drab and failed to generate any sympathy or appreciation. Both Alek the incredibly hot and Amarok the incessantly broody tested my patience at times. The entire love triangle was alarmingly cliche as well. Secondly, the continuous emphasis on Alek's otherworldly beauty and sexual appeal and Kat's predictable reaction to his seduction techniques was irritating. The entire unique scent and golden eyes routine was also distinctly Twilight-ish and hence extremely off-putting. The plot was wishy-washy at worst and lame at best. There were SOME slightly surprising twists but apart from that the story was mostly predictable. There was no real character building either and that was a little disappointing. So all in all, an overused concept executed in a different way and some cool world building makes it an okay one time read. Now, Adina lives in Sydney’s leafy north-west with her IT guru husband, two children, and a couple of unwelcome possums who really don’t know how to take a hint. 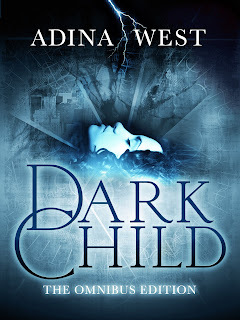 Her debut novel Dark Child, a new-age paranormal fantasy, is being released as a serialised e-novel by Pan Macmillan’s Momentum books starting February 2013. It’s an eclectic mix of ancient cultures, modern cities, tarot, lunar astrology, suspense and romance, and she loves that writing it made watching Vampire Diaries necessary research.